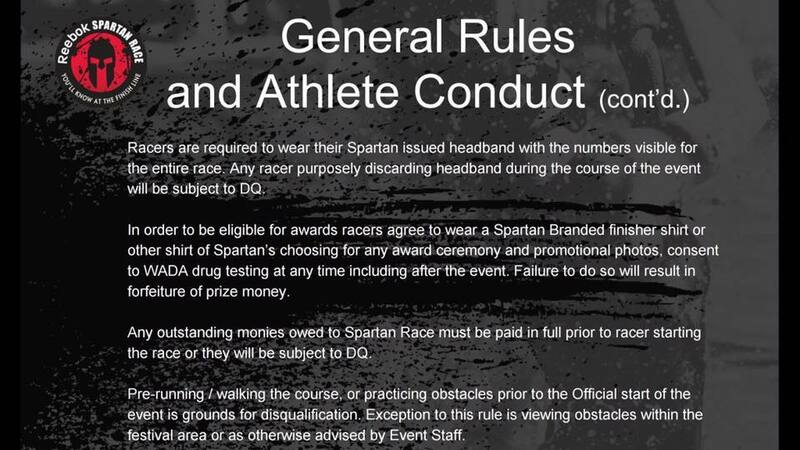 Update: Spartan HQ are editing these rules to make sure the intent is crystal clear – keep your hats on, folks! The important bit, the bit that made people pull their hair out at the roots and go “NO WAY” is the T Shirt rule. 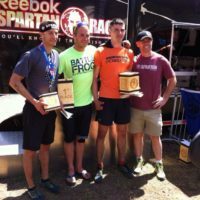 The history behind this is with Ryan Atkins and Lindsey Webster in 2015 – the Canadian elite power couple who have been dominating the North American OCR scene at Battlefrog, OCRWC, Spartan and more over the past couple of years. 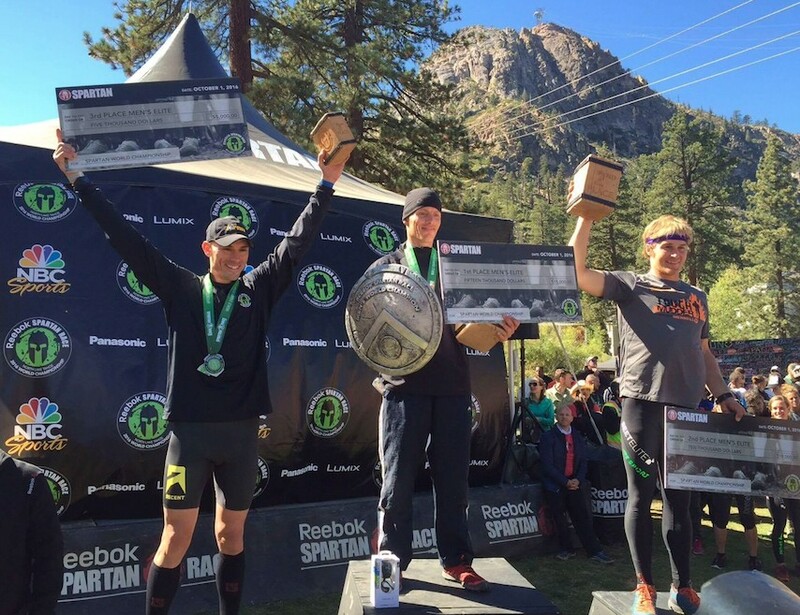 As Battlefrog sponsored athletes, they had a habit of wearing their sponsored gear on the podium, even if that podium happened to be at a Spartan Race. Fair enough, if you ask me – there was a company helping them meet their goals and dreams financially, so they were representing that company. Unfortunately, someone at Spartan HQ took umbrage to this – and decided to adjust the shirts. Spartan quickly backtracked on this rather ham fisted approach, and said that they would request that athletes wore Spartan shirts, to help promote the brand, and that too, is fair enough. Fast forward to 2016. Ryan and Lindsey do pretty good in the Spartan points series and at their World Championships, and Battlefrog exit stage left – leaving the power couple sans-sponsor. So, like any self respecting elite with no sponsor and a solid sense of humor, Ryan took the podium in a Tough Mudder T Shirt. So here we are, at the start of the 2017 season, and the rule books are updated. Rather than being casual about it, and simply asking people nicely – the rules are clearly mandated. To stand on that podium, you will wear that finisher (or similar) shirt. A policy that will only affect the elite of the elite, and people are upset. Possibly, as I’ve seen some commentators, this comes not from Spartan, but from Reebok. Reebok famously mandate that UFC fighters wear Reebok gear. Crossfit athletes heading to the games are required to wear Reebok gear – so all the puzzle pieces fit. My thoughts? PARTLY: So what. The rules are clear. 3 men and 3 women per prize pool will be affected, and Spartan has a pretty solid lock up of their Pro Team at most races anyway. What this is really saying is that the casual shenanigans of Ryan and Lindsey are over, and Spartan HQ are sick of not being able to use their own race podium promo photos for their marketing and business development. Welcome to the world of OCR in 2017. The other part – the bigger part? 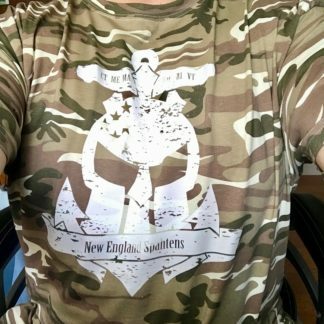 Let these elites wear what they want. Let them get support where they can. Let them be sponsored, and represent those sponsors. Treat them with respect – and get it in return. Quit with the cheesy editing and the ham fisted rule changes – and let the athletes who support the sport of OCR do that how they can. 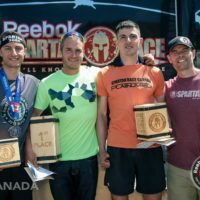 Whats clear, and it’s been clear for a few years – Spartan have no interest in expanding the world of OCR. 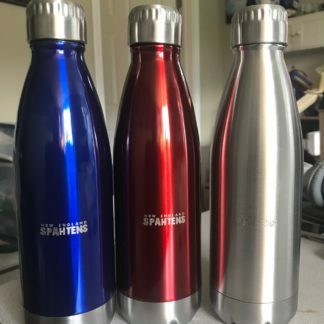 They are interested in expanding the brand of Spartan. Rightly or wrongly, if you care about OCR, you care about it regardless of brand. Spartan is not on that path. 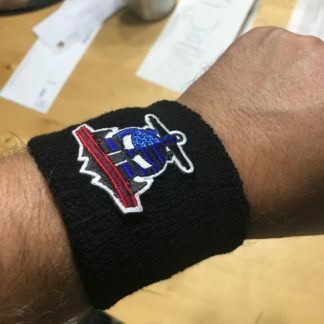 Now, how about the requirement that we all must wear those stupid headbands, or face DQ? Can we have some uniting of the big headed runner who can’t wear them? Can we protest on social media about that?